Don Wilhelm (W3FPR), everyone's favorite Elecrafter, holds one of the three KX3 prototypes. I got a chance to play with one of the two KX3 protoypes Elecraft had on display at the Dayton Hamvention. Don (W3FPR) gave me a tour of this amazing rig. It’s small, feature-packed and as ergonomic as all of the machines that come out of Aptos. It is slightly larger than the KX1 in every dimension. Still very easy to hold (as you can see in the photo to the right). Not pictured are the mini CW paddles (not based on the current KX1–much better) and a small attachable microphone. I’ll try to photo them tomorrow and post. 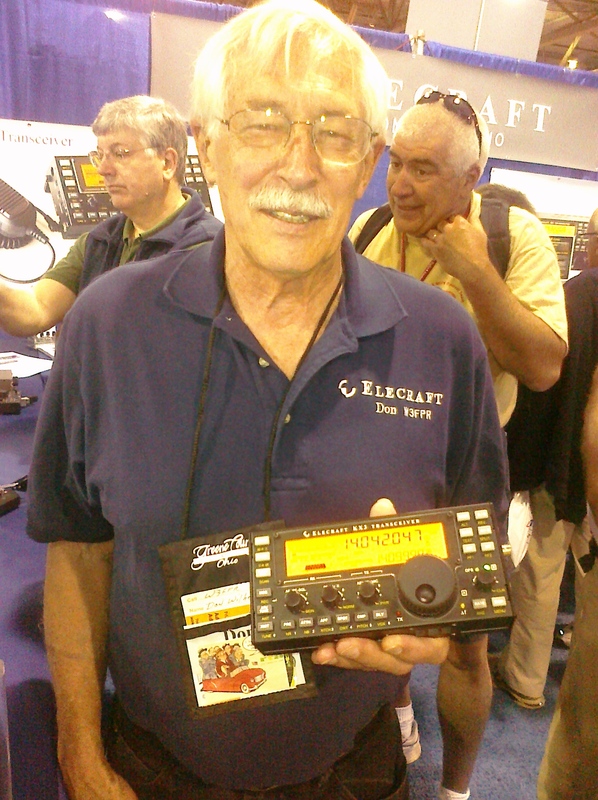 I spoke with Elecraft owner/founder Wayne Burdick (N6KR) at length as well. He said that the KX3 has been in the works for years. It’s built on the ideas of Elecraft and many of its owners, he said they’ve simply been waiting for technology to catch-up with their vision. 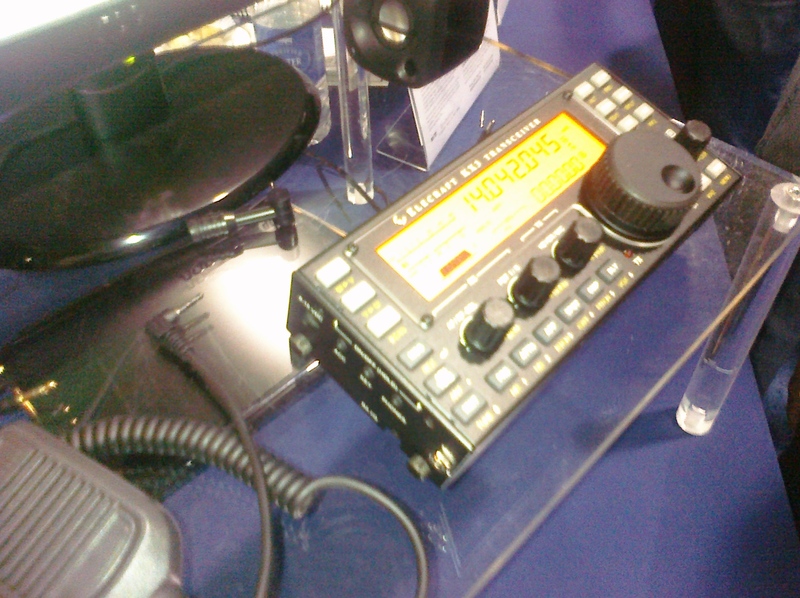 I actually think this could be a major game changer in the ham radio world. Think about it…a portable transceiver with the receive capabilities of the world-class K3, all band, general coverage, firmware upgradable, with many options including a full-fledged automatic antenna tuner, 100 Watt amp and many optional modules. Did I mention it’s ultra portable? Gosh! Oh yeah, Wayne told me it will be sold for under $800. 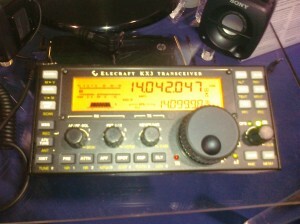 This entry was posted in Announcements, Kits, Portable, QRP Radios and tagged Elecraft, Elecraft KX3, KX3, KX3 Images. Bookmark the permalink.